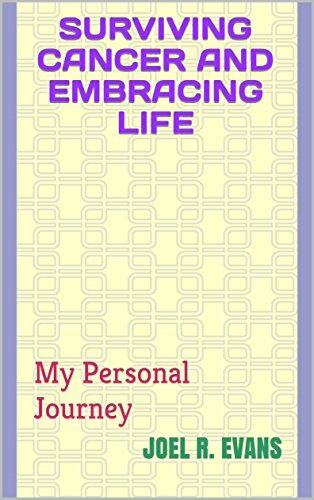 Through this blog, you may download a FREE PDF copy of Surviving Cancer and Embracing Life: My Personal Journey. PLEASE share it with anyone you feel will benefit from the book. To read this file, you will need to have Adobe Reader installed. Click here to get the free Adobe Reader; and then follow the installation instructions. Now, click the book cover to access and download the PDF file. The book is also available in Kindle format for $0.99 (https://amzn.to/2MNCWSA) and as a paperback for $4.29 with free Prime shipping (https://amzn.to/2ltGTje).